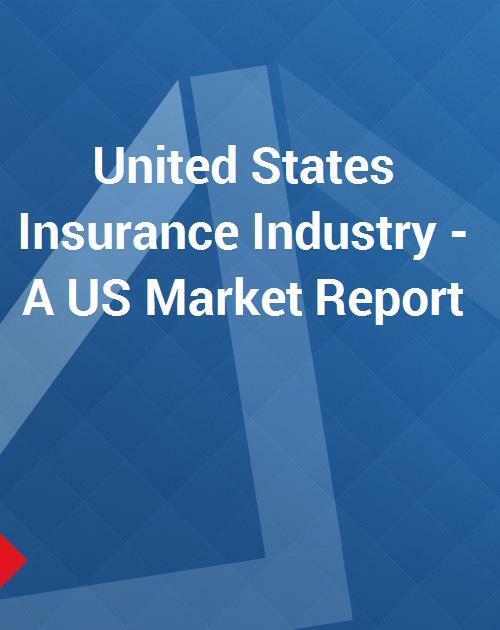 The United States Insurance Industry Report provides insightful analysis, market overview, industry structure and outlook of life and non-life/ property & casualty insurance industries in the country. Richly laden with quantitative analysis, the report also provides the reader with an exhaustive statistical preface to the industry. A synopsized discussion offers preludes to reinsurance and other insurance markets within the non-life/ property & casualty insurance sector, such as automobile, homeowners, fire & allied, catastrophe, workers' compensation, medical malpractice, liability, aviation, travel, and marine insurance. In addition, also get a sneak peek at flood, mortgage, title, municipal bond, venture capital, environmental, credit, political risk, and pet insurance among others. Get to know about various types of life insurance products in the US market, backed by statistical inference of key players in these markets. The closely summarized US market report is designed to offer a broad, macro level picture of the trends, challenges, market structure/basics, recent mergers & acquisitions, and strategic corporate developments witnessed by the industry. The discussion summarizes, in addition to other market variables, the distribution systems, bancassurance, marketing & distribution, and regulatory overview in the region. The report offers a recapitulation of recent launches of insurance products by major industry players in the country. Also provided is a compilation of recent past/ historical perspective of the country's insurance market and corporate developments within the industry. The report examines the leading companies' footing in insurance markets at regional level, along with their annual written premiums and/ or market shares. Regional key and niche players briefly discussed and abstracted in the report include Aetna Inc., AFLAC, Allstate Financial Group, American International Group, Inc., AXA Equitable, Berkshire Hathaway, Chubb Corp., Cigna Corp., Crawford & Co., Fidelity National Financial, Liberty Mutual Group, Lincoln National Corp., MassMutual Financial Group, Metropolitan Life Insurance Co., Mortgage Guaranty Insurance Corp., New York Life Insurance Co., Pacific Life Insurance Co., Partner Reinsurance Company Ltd, Pets Best, Prudential Financial, State Farm Group, The PMI Group, Inc., United Guaranty, UnitedHealth Group Inc., Unum Group, and WellPoint Inc. among several others. In addition, leading insurance brokers like Aon Corp., Arthur J. Gallagher & Co., Brown & Brown Inc., Marsh & McLennan Cos. Inc., and Wells Fargo & Co. have also been discussed and summarized in the report. Company - Marsh & McLennan Cos. Inc., Aon Corp., Arthur J. Metropolitan Life Insurance Co., Equitable Life Assur. Jackson National Life Insurance Co., Transamerica Life Ins. Canada Life, General Re life, Generali USA Life Re, GE Ins.